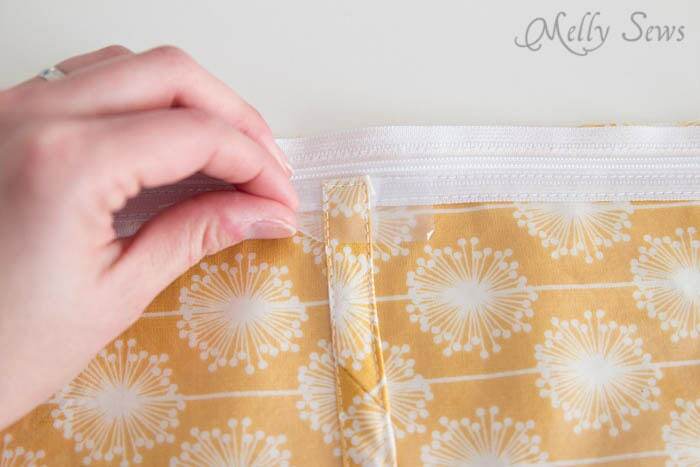 Today I’m sharing my top 3 tips for sewing vinyl. 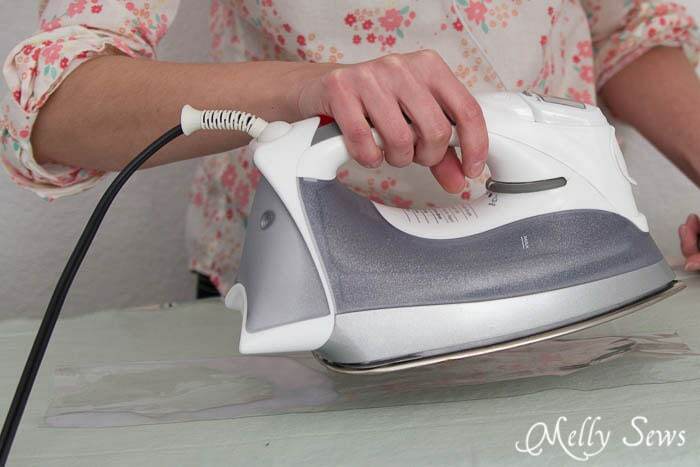 Vinyl can be a tricky fabric to sew, but use these tips and it should be smooth sailing. 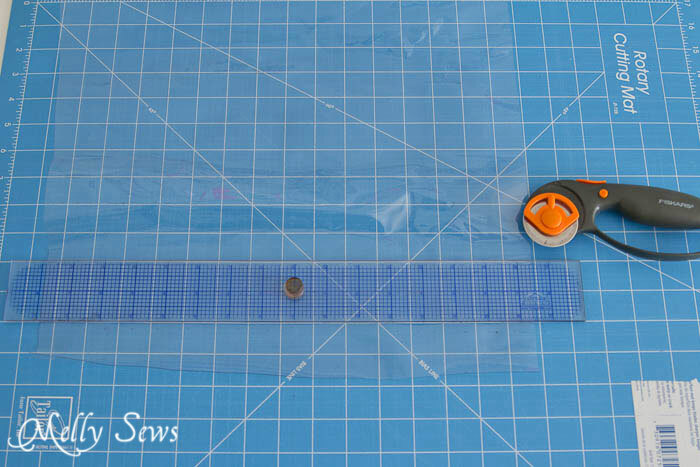 Use a rotary cutter – this is particularly important if you’re not going to sew something to the vinyl – if the edge is going to be exposed, you want it to be a smooth edge. Incidentally, if your vinyl is not laying flat, hovering your iron over it can help you flatten it. DON’T touch the vinyl with the iron, you could melt it. But if you heat it, it will be easier to flatten. Use tissue paper to sew without sticking. When sewing vinyl you may find your machine has trouble feeding it, on either the presser foot side or the feed dog side (or both!). If you find this happening to you, put tissue paper between the vinyl and the side that is having trouble. The tissue paper will easily tear off when you’re done stitching. Don’t pin vinyl. 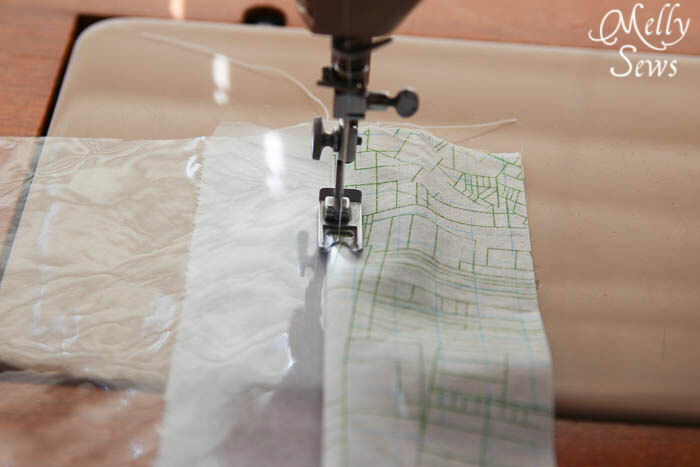 Use wonder clips, paper clips, or even transparent tape to hold things in place for stitching. Pins will leave permanent holes. 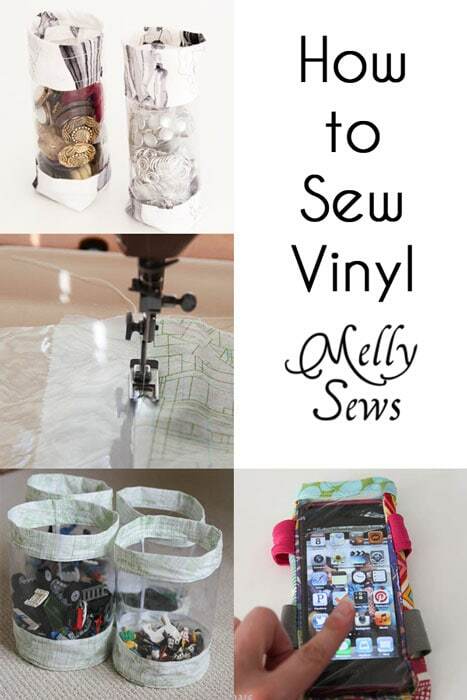 On the same note, use a long stitch length to sew vinyl. This means less holes in the vinyl and less chances of tearing at a needle hole. I put a piece of clear tape underneath my presser foot and the vinyl is a lot easier to sew. 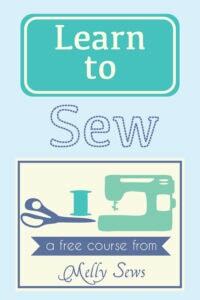 Your sewing tips are always so clear and educational! I look forward to each and every time you post them. Thank you! I really hope these work! Next time I’m trying them, especially the tissue paper one. I have tried clear tape on the presser foot as one comment mentioned and it did nothing for me. Thank you for the tips! Update: I used your tips and I love sewing vinyl now!!!! Using the tissue paper made all the difference. No more sticking and the tape worked wonders. Thank you soooo much! You have made sewing vinyl such a pleasure and will be sewing more with it. Can’t thank you enough!!! Do you need a special needle to sew plastic? Nope. I just use my universal needle. If you’re having trouble with it you can switch to a sharps needle. I use blue masking tape and binderclips, and am a big fanof Collins’ Sewer’s Aid lubricant, keeps grab to a minimum. I have had good luck with my walking foot or also a roller foot. THANK YOU I WILL TRY THE WALKING FOOT OR ROLLER FOOT AND I WILL LET YOU KNOW IF IT WORK OR NOT , LOVE THE IDEA. Hi Becky you are a saver of my bag, thank you and that tip works just fine th, i l;ovee idea it is just wonderful i have a walking foot and roller foot but i never use them. Now i will. I bought a plastic non stick presser foot for two bucks and it works like a charm! I am so glad I found these tips! 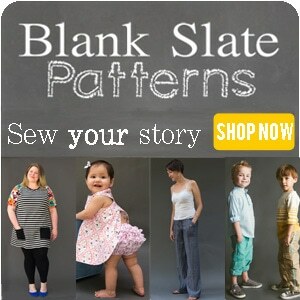 I never thought about stitch length.